The Staatliche Museen zu Berlin (Berlin State Museums) are amongst the top cultural collections and art galleries in the world. The collections cover a wide spectrum of topics of astonishing quality and include artifacts and art from all corners of the world. The Berlin State Museums are mostly located in four geographical areas in different parts of the German capital. Museums in a given area usually have a combination admission ticket. 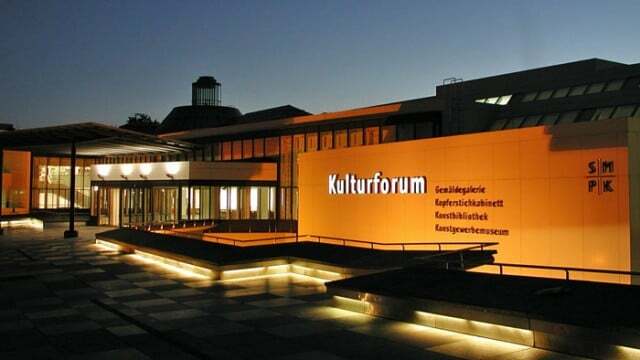 The four main areas are Museum Island (Museumsinsel), the Cultural Forum (Kulturforum), Charlottenburg, and Dahlem. The Hamburg Bahnhof Museum of Contemporary Art is not in these groupings but also very popular with foreign visitors. The Pergamonmuseum is the most popular. Buying museum ticket online from Tiqets or GetYourGuide is a lot simpler and cost the same as the official museum website. Also note the large selection of museum passes and savings options. Berlin’s Museum Island is on the UNESCO World Cultural Heritage list and houses some of most popular museums in Berlin. The museums here were built between 1830 and 1930 but heavily damaged during the Second World War. 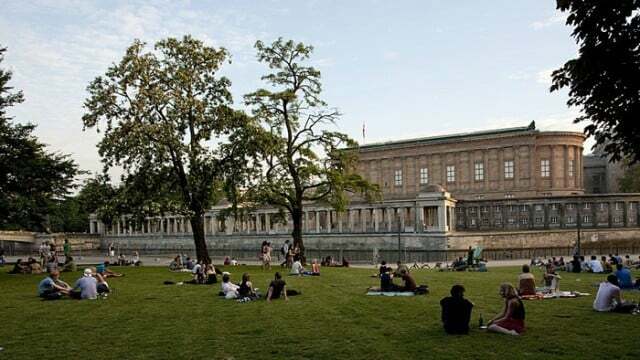 Since 1990, all have been restored but work continues and further buildings are being added to make Berlin’s Museum Island the largest museum complex in Europe. The Altes (Old) Museum houses a large part of Berlin’s famed Antikensammlung (Collection of Classical Antiquities) and part of the Numismatic Collection. The Bode Museum houses the Collection of Sculptures, the Museum of Byzantine Art, and most of the Numismatic Collection. The Neues (New) Museum houses the Egyptian Museum and the Museum of Pre- and Early History. Its top attraction is the bust of Queen Nefertiti, the most-famous Egyptian artwork in Germany. The Alte Nationalgalerie (Old National Gallery) displays mostly 19th century European art. Humboldt Forum in the rebuilt Berlin Schloss will open towards the end of 2019 with the ethnological and Asian art collections previously housed in Dahlem. The Etnologisches Museum (Ethnology) has half a million items from non-European continents while the Museum für Asiatische Kunst (Asian Art) has a vast collection of art from especially the Indian subcontinent, Japan, Korean, and China. 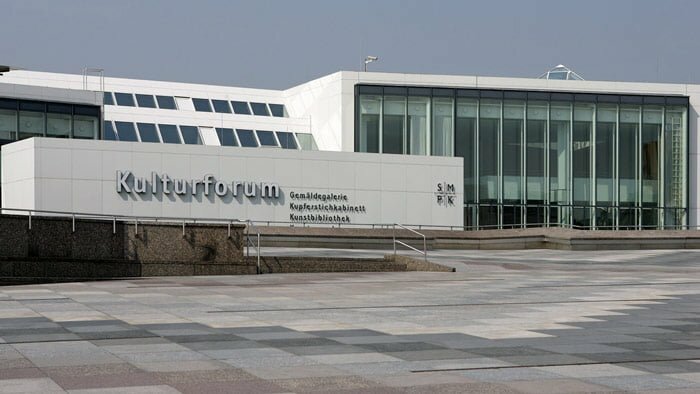 The Kulturforum is to the south of Tiergarten, across the road from the Berlin Philharmonie, and close to the Sony Center at Potsdamer Platz. The buildings here were mostly purpose-built during and shortly after the Cold War. The Gemäldegallerie (Picture Gallery) has an astonishing collection of European Old Masters paintings from the 13th to 18th centuries including 16 works by Rembrandt. It is one of the greatest art collections in the world. The Kupferstichkabinett (Museum of Prints and Drawings) is the largest of its kind in Germany with over 500,000 prints and 110,000 drawings spanning works by Dürer to Andy Warhol. The Kunstbibliothek (Art Library) has around 350,000 volumes. The Kunstgewerbemuseum (Decorative Arts) has a high-quality collection of items ranging from the Middle Ages to the present. The Musikinstrumenten-Museum (Musical Instruments) is not part of the state museums but worth seeing and shared the same Kulturforum ticket. Of the previous three museums in Dahlem, only the Museum Europäischer Kulturen (European Cultures) remained in this suburb in southwestern Berlin. This museum focuses on everyday life from the 18th century to the present. The more famous non-European collections moved to the Humboldt Forum in the rebuilt Berliner Schloss on Museum Island and will reopen in 2019. Charlottenburg was the center of West Berlin museums but since the re-unification of Berlin, this area has lost most of its top collections to Museum Island. The Museum Berggruen display classical modern works. At the heart of the collection are over 100 works by Pablo Picasso and 20 by Henri Matisse. The Gipsformerei (Replica Workshop) uses plaster of Paris to reproduce famous works. Museum für Fotografie (Photography) is physically closer to Zoologsicher Garten station but is grouped with Charlottenburg. It is used to display the vast collection of photos owned by different museums. The very popular Hamburger Bahnhof – Museum für Gegenwart – Berlin is close to the new Hauptbahnhof. It houses the impressive Berlin Museum of Contemporary Art. In Schloss Köpenick to the southeast of Berlin is part of the Decorative Arts Collection focusing on European furniture and decorations from the Renaissance to Rococo. Berlin’s State Museums are easily reached on public transportation: the Kulturforum on bus 200, Museumsinsel on bus 100 or 200, Charlottenburg by S-Bahn train, and Dahlem by U-Bahn train.